Pass the Mic: With the help of his wife and daughter, Secret Agent 23 Skidoo is infiltrating the world of kid-hop. The speakers are thumping out funky beats, the MC is on the mic revving up the crowd, and the audience is singing along in unison. It’s a typically energetic hip-hop show in many ways, except it’s the middle of the day and Secret Agent 23 Skidoo is on stage rapping about robots, fruit, mermaids, and dragons to an audience of children and their parents. 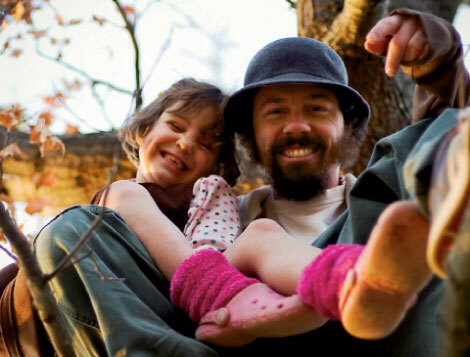 Skidoo’s 2007 debut album, Easy—which includes vocals by his wife, Brooke, and daughter, Saki, 7—has been picked up by Los Angeles-based label Happiness Records and is set to be rereleased nationally this summer with reworked tunes and bonus tracks. The song “Luck” reached number-one last year on XM Satellite Radio’s children’s channel, and upcoming top-tier gigs include Austin Kiddie Limits in Texas and Kidzapalooza, the family friendly section of the Lollapalooza festival, in Chicago. The project started about two years ago. After creating a children’s book titled What It’s Like in the Stars, authored under the name Cactus, Skidoo, 33, decided to try his hand at songwriting for kids. Creating hip-hop tunes for children seemed like a rewarding venture to connect his daughter to something that he loved—music. Once he completed “I Gotta Be Me,” his first song for the CD, “It was like a dam broke,” he says, and the album came together quickly. “It’s an awesome, creative world,” Skidoo says about the process of capturing wide-eyed wonder through rhyme. “It’s not an adult speaking to kids, but an adult translating the world children live in.” He draws on some of his favorite characters from childhood, such as the Muppets and Fat Albert, plus the varied works of author Shel Silverstein who wrote such iconic children’s books as The Giving Tree and The Missing Piece. He still performs with GFE, which tours nationally and recently released its fifth album. But his children’s entertainment business is expanding rapidly, with a second album underway, an upcoming children’s book, and a TV show in development. Don’t miss Secret Agent 23 Skidoo and Mad Tea Party at 2 p.m. on Saturday, August 22, at The Grey Eagle in Asheville. Check out Skidoo’s music at secretagent23skidoo.com.